UNISON lead the fight for equality and human rights in the workplace. We ensure all our members are treated fairly regardless of gender, race, age, sexual orientation or disabilities. 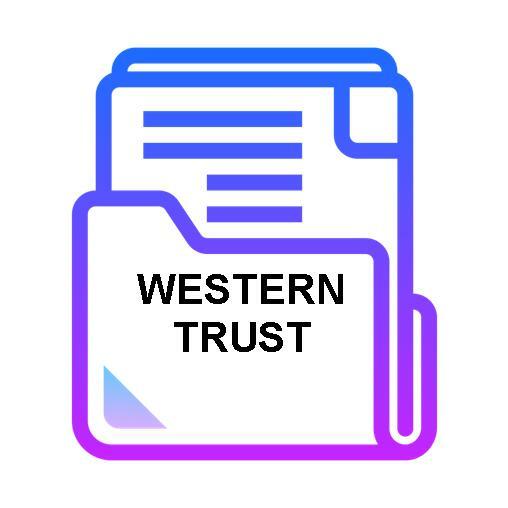 On 24th August 2017 proposed cuts of £70 million across five Health Trusts were announced. UNISON attended the public meetings, gained speaking rights at each Trust board meeting and gathered information on the cuts for each Health Trust. 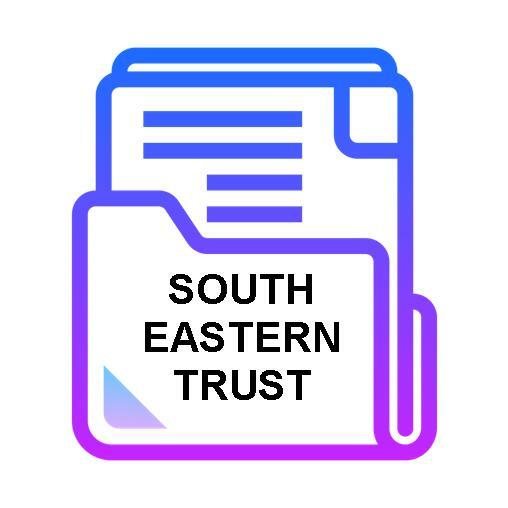 We have submitted responses to each Trust on the impact the cuts will make on our members and the public in that area. We invite our members to download the responses and stand with us against the cuts in your area. 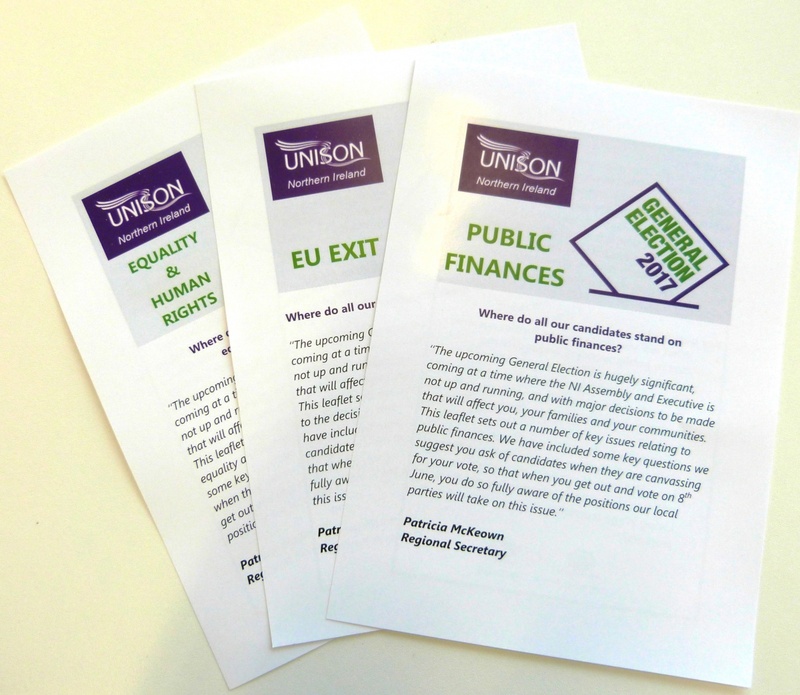 UNISON has launched a manifesto outling our expectations from politicians on issues such as health, social care, education, living wage, human rights, equality, poverty, the EU. 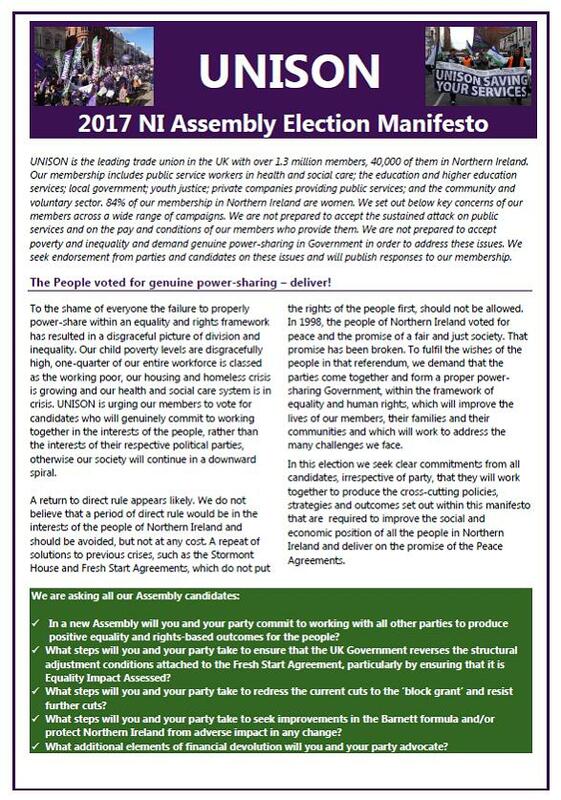 We invite members to download the manifesto and use it to question candidates who come to your door about how they are going to make the lives of people across Northern Ireland better. UNISON encourages every member to vote. The Anti Poverty Network and the Child Poverty Alliance launched a report following the conference held on 5 April 2016 discussing Meeting Objective Need and an anti poverty strategy for Northern Ireland. The conference report includes 7 key principles that should be taken forward with any development of an anti poverty strategy.